Do you want to know what's better Huawei Mate 10 Pro or Huawei P20 Pro ? You'll get the answer on this page! SpecsPRO has compared Huawei Mate 10 Pro vs Huawei P20 Pro : camera, battery, screen size, resolution and other important specifications. The Huawei P20 Pro has better rear camera specifications that makes it a better buy for photo lovers. The P20 Pro front camera specifications are better than that of the Huawei Mate 10 Pro: (24 megapixels and 2 aperture versus 8 megapixels and 2 aperture). If you like to shoot selfies then you have to note this advantage. The Huawei P20 Pro has 4K UHD (1080 x 2244 pixels) display resolution with 408 ppi pixel density that is better than the Huawei Mate 10 Pro 4K UHD (1080 x 2160 pixels) display resolution with 402 ppi pixel density. It makes this phone a better choice for watching movies. The P20 Pro device is easier to use as it has smaller dimensions than the Huawei Mate 10 Pro: 155 x 73.9 x 7.8 mm versus 154.2 x 74.5 x 7.9 mm. 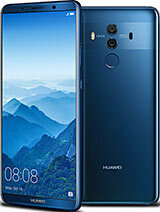 The Huawei Mate 10 Pro cell phone weight 178g that is 2g lighter than the weight of the P20 Pro. The Huawei P20 Pro has 4 advantages and the Huawei Mate 10 Pro only 1 so the P20 Pro will be the best choice. Check the list of the best offers on Amazon . Huawei Mate 10 Pro and Huawei P20 Pro comparison will help you to understand what smartphone will be the best purchase. By the way if you don't know where to buy these phones you'll find the list of the offers on their pages. 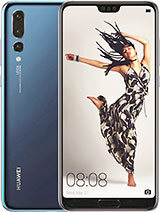 Besides Huawei P20 Pro to Huawei Mate 10 Pro compare specs of other mobile phones easily.